The United States Marine Corps celebrates its 243rd birthday on November 10. It is a day to celebrate the glorious history and heritage of the Corps of Marines, a unique component of our military. It is also a day to recall the unflinching valor and integrity of those who served under it. Today, the United States Marine Corps has over 180,000 active duty personnel and almost 40,000 in the Marine Corps Reserve. It is a branch of the United States Armed Forces that was established way back in 1775. Its primary mission as America’s expeditionary force is to defeat the nation’s enemies quickly wherever in the world when American lives and interests are threatened. 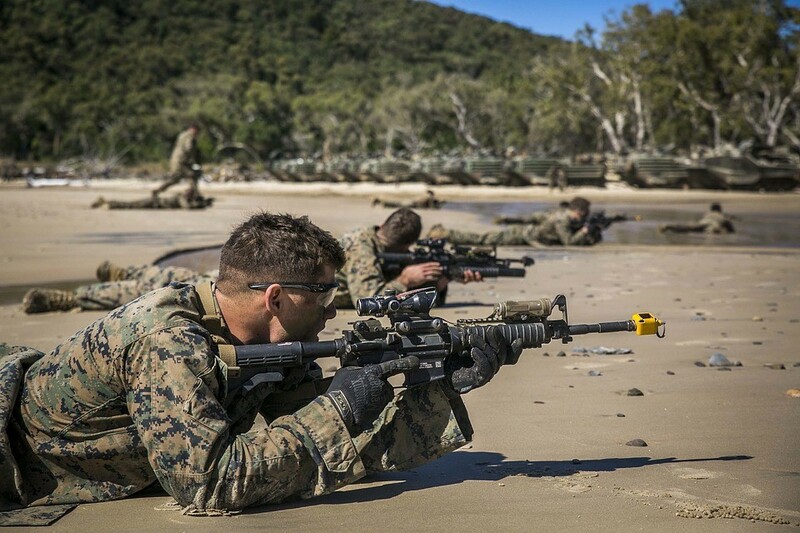 The Marines fight on land, sea, and air, using the United States Navy to deliver rapid combined-arms task forces. The United States Marine Corps birthday is primarily celebrated by veterans, personnel, and other people with ties to the Marine Corps. It is usually marked with a Marine Corps Birthday Ball that includes a traditional cake-cutting ceremony and entertainment. The first ever ball was held in 1925. In the cake-cutting ceremony, the first slice of cake goes to the oldest Marine present while the second slice goes to the youngest. This represents the passing of the experience, honor, and heart of the Corps to the next generation of Marines. This tradition started in 1952 and is still practiced today. The first commissioned officer of the United States Marine Corps, known then as Continental Marines, was Major Samuel Nicholas. The Marine Corps was born in a Philadelphia pub in 1775 when Nicholas went to local taverns and bars to recruit members for his two battalions. Marines in uniform are not authorized to put their hands inside their pockets. The Marines are nicknamed “Jarheads.” They were called this at first because of how their heads looked like—sticking out of a Mason jar because of their stiff neck on their dress uniform. They are also nicknamed “Leathernecks.” This nickname pertains to the stiff leather collar that would purposely protect the Marines’ necks and throats from sword and bayonet attacks. They are also called “Devil Dogs.” It is one of their most badass nicknames, and it came straight from their enemies during World War I. The German troops who fought against them in France were really startled with the Marines’ ferocity and endurance that they referred to them in their official reports as Teufel Hunden, meaning Devil Dogs. 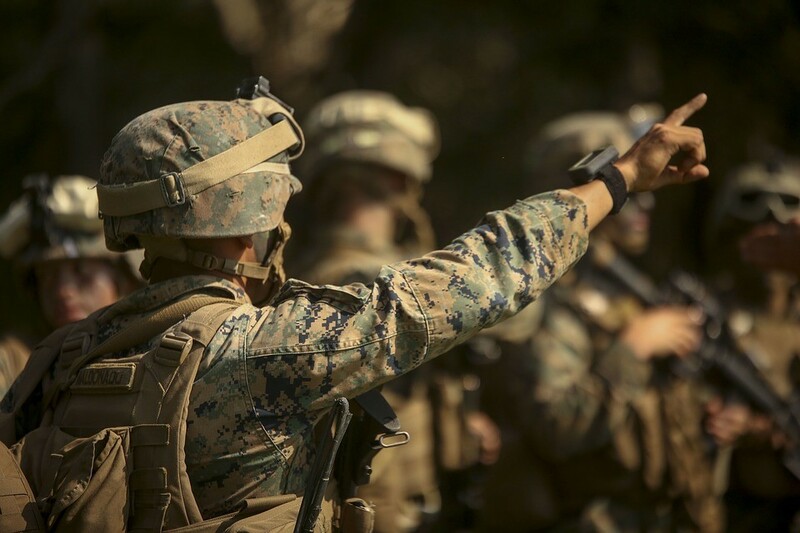 The Marines’ motto is Semper Fidelis, which is a Latin phrase meaning “Always Faithful.” It is their compelling guide to remain faithful to their mission at hand, to the Corps, to each other, and to the country—no matter what. Chesty, an English Bulldog, is the Marine Corps’ mascot. Chesty was named after Lt. Gen. Louis B. “Chesty” Puller, who was the only Marine to earn five Navy Crosses. On November 10—the United States Marine Corps birthday, let the valor and faithfulness of our Marines serve to inspire us to do great things that would benefit others, particularly the needy and disadvantaged people in our communities. One way to do that is to donate your old and unwanted car or truck or any other type of vehicle to us at Goodwill Car Donations. We sell at auction all vehicles donated to us and invest the proceeds in the critical programs and services offered by the Goodwill organizations serving your area. These nonprofit organizations cater to individuals in your community who are burdened with disabilities, illiteracy, past criminal record, welfare dependency, and other personal circumstances that prevent them from accessing opportunities for employment and living a poverty-free life. Goodwill uses the funding to provide them with skills and job training, career development and placement, scholarships, youth employment, livelihood, disability benefits support, and other community-building support. All these programs and services are geared towards giving the underprivileged men and women in your community the chance to regain their dignity by teaching them skills and infusing them with knowledge so they can earn a living, thus becoming financially independent and productive citizens of our country. To know more about Goodwill Car Donations, our donation process, the types of vehicles you can donate, and other related matters, check out our FAQs page. For inquiries, give us a call at our toll-free hotline 866-233-8586 or send us your message online. Let’s all celebrate November 10—the United States Marine Corps birthday by extending a helping hand to the disadvantaged people in our communities. Call us at 866-233-8586 and get free towing service for your car donation.